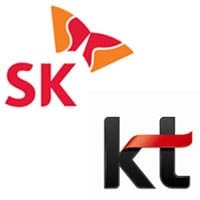 Korean mobile network operators KT and SK Telecom have been named as the winners of the 2013 GSMA Chairman’s Award, the association’s most prestigious honour, in recognition of “their pioneering efforts and leadership in driving the adoption of SIM-based mobile near field communication (NFC) services”. “KT and SK Telecom have been at the forefront of global commercialisation of NFC, catalysing the financial ecosystem for mobile NFC from an early stage,” said GSMA chairman Franco Bernabè, who is also CEO and chairman of Telecom Italia Group. More than 21 million Koreans now have a handset with SIM-based NFC functionality, the GSMA says. “We believe that NFC technology will definitely enrich our customers’ lives, providing a convenient means for making financial transactions and secure exchange of information while playing a critical role in enabling equitable access to secure mobile banking and mobile money transfer services to developing countries,” said Suk-chae Lee, chairman and CEO of KT. “It is truly a great honour to receive the GSMA Chairman’s Award, as it recognizes SK Telecom’s continuing commitment and efforts to enrich people’s lives through innovative technologies and services,” added Sung Min Ha, president and CEO of SK Telecom.